ROBERTA MILES is a jazz singer, poet, writer, and visual artist. Her award-winning autobiographical monologues touch on growing up in Chicago in the 70’s and her life’s indiscretions and romantic regrets. SPIEL CHICAGO INTERVIEWS THE LOOSE CHICKS! Browse a large selection of used books while listening to the Loose Chicks share their stories. 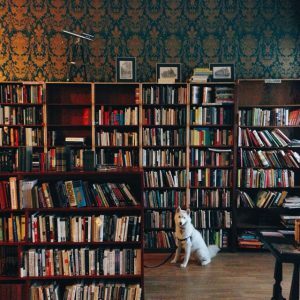 Uncharted Books sells used literature and nonfiction, from vintage to almost new. They host open salons for writers, storytellers, artists, and students. They encourage browsing, loitering, chit-chatting, socializing, drinking, eating, writing, working, hanging out, and staying in.